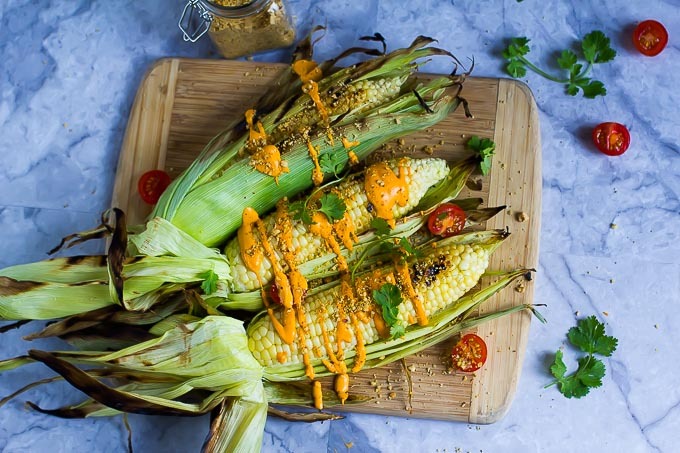 Fresh grilled street corn updates a summer favorite with a latin twist! Growing up in Missouri, corn was everywhere in the summer. Wandering through the tall fields of corn and eating it raw off the stalk was one of the joys of summer. 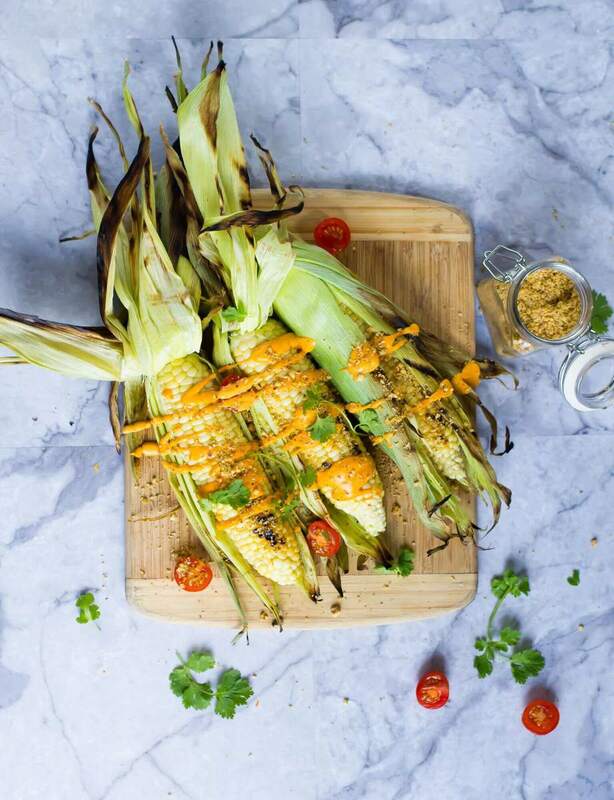 And of course, grilled corn was always good! This recipe is perfect with a fresh tomato and herb salad and maybe some BBQ mushrooms ! Open the husks of corn and remove the silk and discard. Soak the ears of corn in some cold water for 10 minutes. Remove fron the water and drain the ears of corn. 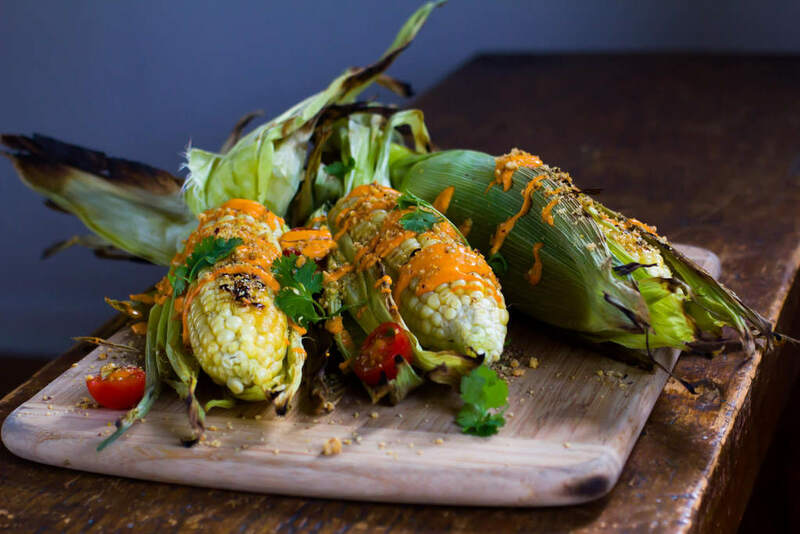 Place on the grill and steam the ear in their husks for 15 minutes or until the kernels are tender. 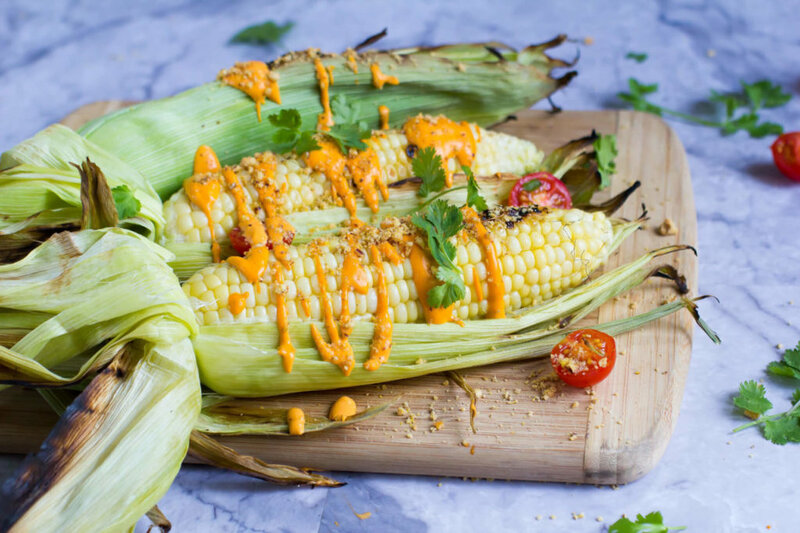 To serve, drizzle the hot ears of corn with the sji amarillo crema and sprinkle with hazelnut parmesan. Garnish with lime, chili flakes, and chopped cilantro. Blend the ingredients together for 5 minutes or until smooth. Pulse the hazelnuts in a food processor until finely chopped. Add the nutritional yeast and sea salt and pulse until the mixture is very crumbly and powdery.